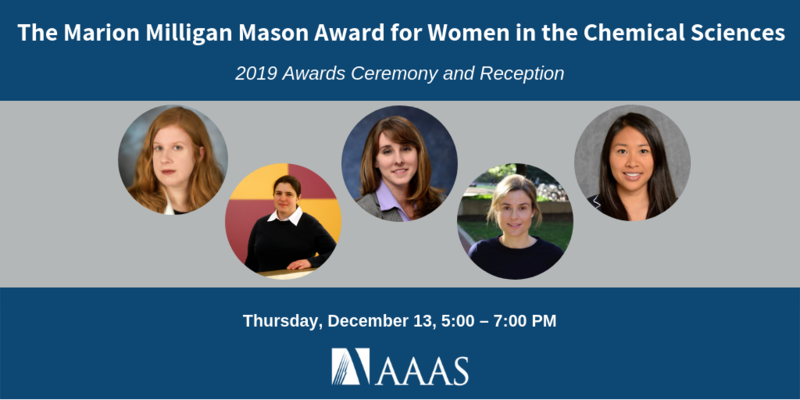 The event will feature presentations by the awardess followed by a reception. Vivian Ferry, PhD, is an Assistant Professor at the University of Minnesota in the Department of Chemical Engineering and Materials Science. Susan Fullerton Shirey, PhD, is an Assistant Professor of Chemical and Petroleum Engineering at the University of Pittsburgh. Lilian Hsiao, PhD, is an Assistant Professor in the Department of Chemical and Biomolecular Engineering at North Carolina State University. Heather J. Kulik, PhD, is an Assistant Professor of Chemical Engineering at the Massachusetts Institute of Technology. Corinna Schindler, PhD, is an Assistant Professor of Chemistry in College of Literature, Science and the Arts at the University of Michigan.